You are the kingdom's new rookie rook recruit. Determined, you decide to depart on an adventure to establish your honor. 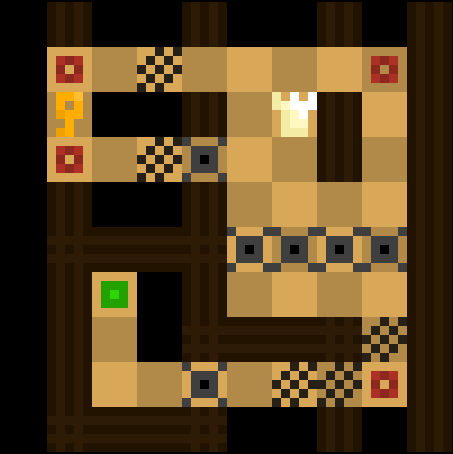 Are you skilled enough to slide through the pesky pawns, precarious pitfalls, and perplexing puzzles in your path? this is a pretty common mechanic BUT for some reason here it feels really nice and fresh - great work on the styling/look+feel/puzzles/theming. awesome game! a bit short, but the idea is great, nice job. just a question, i saw a game (of some years ago) with same mechanics, but without a story and very long with a strange name, do you know what game was it? I really enjoyed playing this game, the artstyle is also nice. :) Even more challenging puzzles would be cool! Wow, this is great. I had so much fun playing! I just wish it was longer :D I think this concept could really be taken to the next level with huge levels spanning my monitor. Do you have any plans to develop it further, post-jam? Do you have an email list or something I can sign up for so that I'm notified about your future projects? I really love this game! I could definitly see a larger game ahead with these mechanics. Maybe bishop enemies? Pawns, knights, etc. I don't know if it was an influence, but American McGee's Alice a chess level that you could take a look at for more thoughts. My only problem is that there wasn't more! It's been a while since I found such a well designed game made with Puzzlescript. The puzzle design is very enjoyable, some of the game mechanics were quite surprising (especially, when a game element has two different functions in the aftermath), so yup, a great entry for the Chess Jam! :) I wrote a little recommendation article about your game and also uploaded a playthrough video. <3 That was fun, thank you very much! Hey! Could I email you about this game? Nice game! Not much of a real challenge but had a good time nevertheless. Amazing! I really like the use of "pawns". Great little mechanic. Great work, I put you on the fresh games section on the homepage. Hi, any chance you could publish the game's source code? 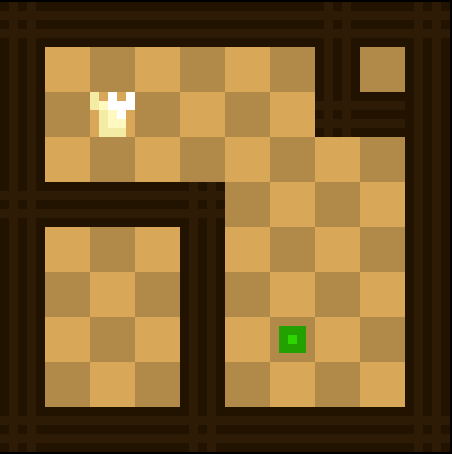 I want to make a game in PuzzleScript and it would be great help. 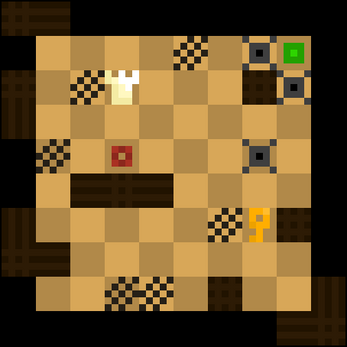 I would like to know how the playe's sprite moves and how it collides with the existing blocks with the board, thanks a lot! This is great help, thanks a lot!